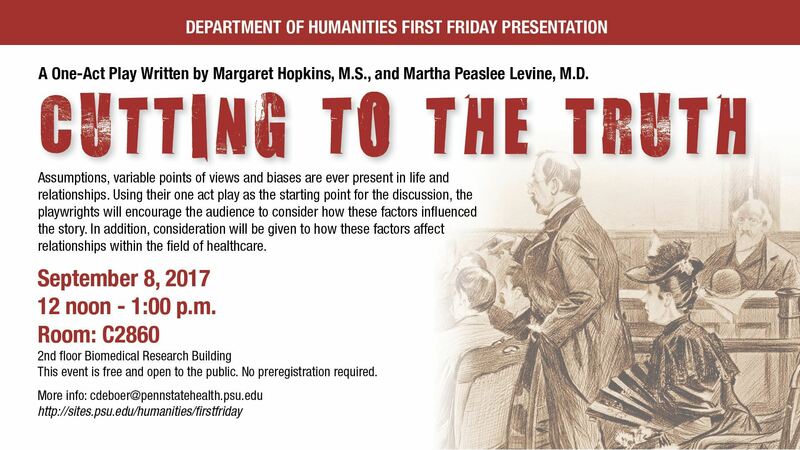 Join us from September through May, as the Department of Humanities in conjunction with the Drs. 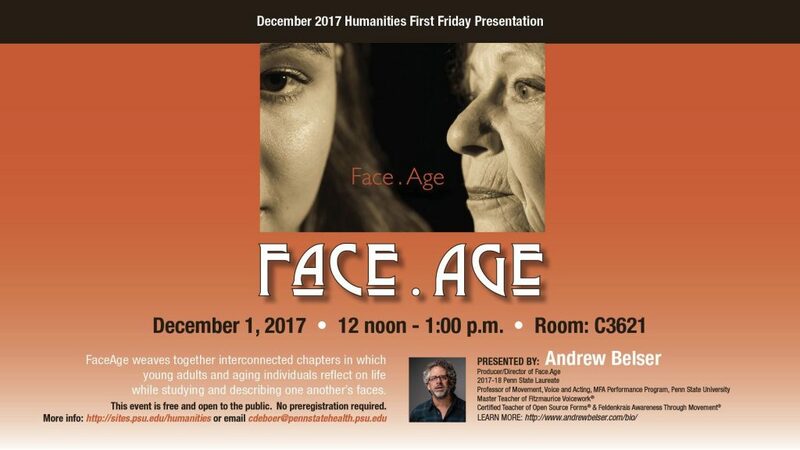 Kienle Center for Humanistic Medicine present a noon hour brown-bag discussion of a humanities-related topic. 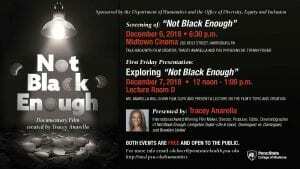 The sessions are free, open to all, and no pre-registration is required. 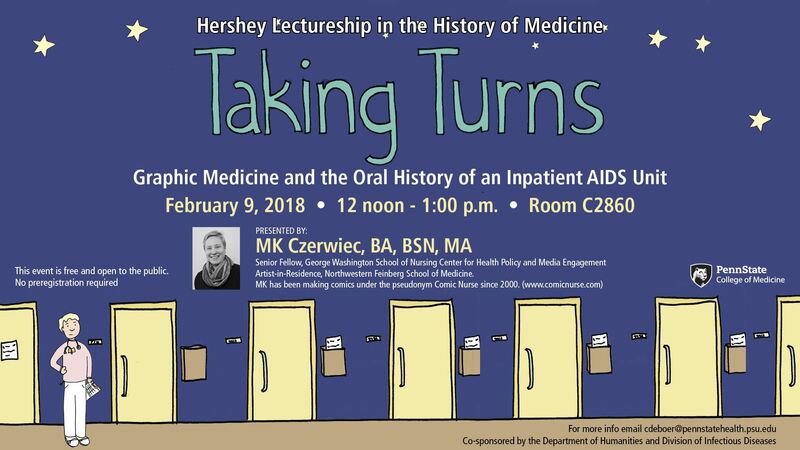 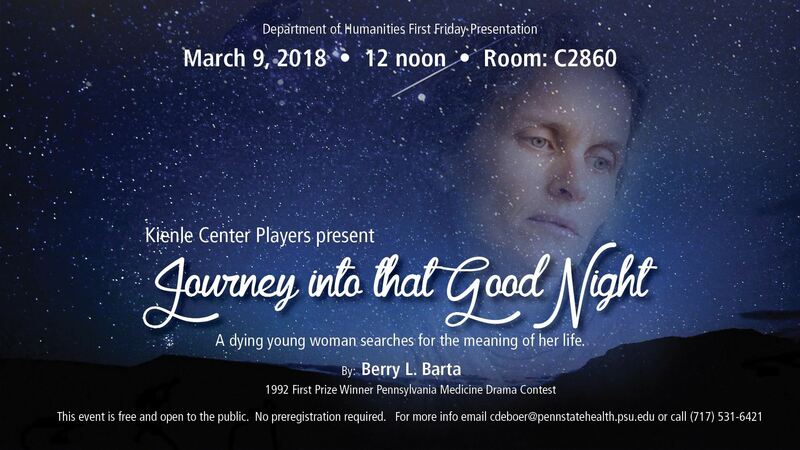 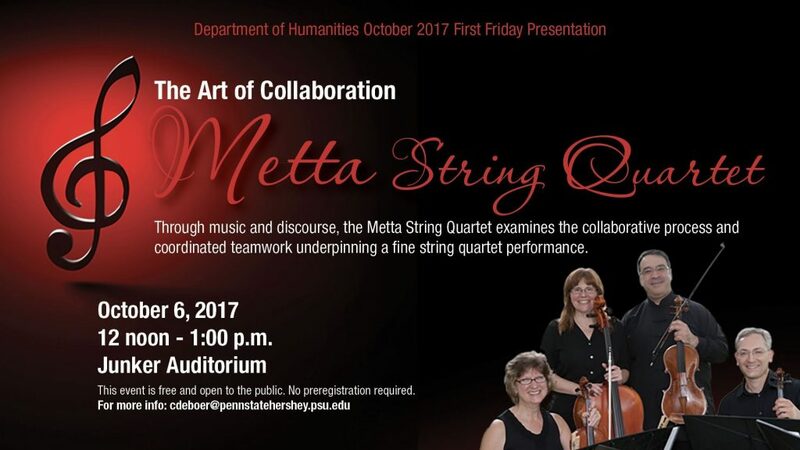 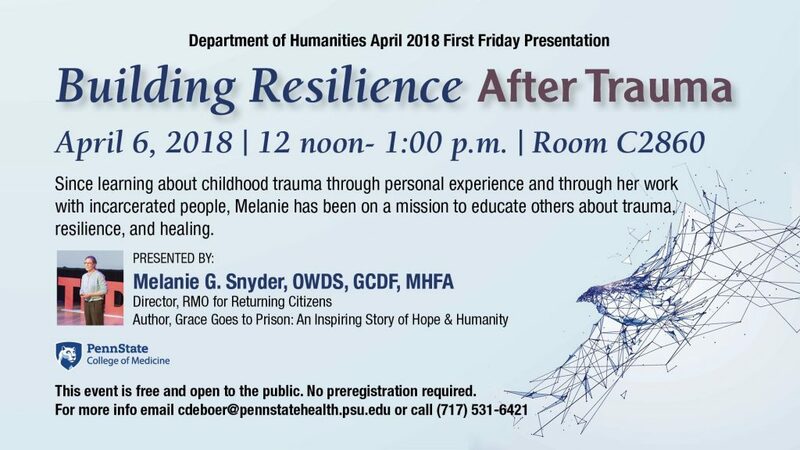 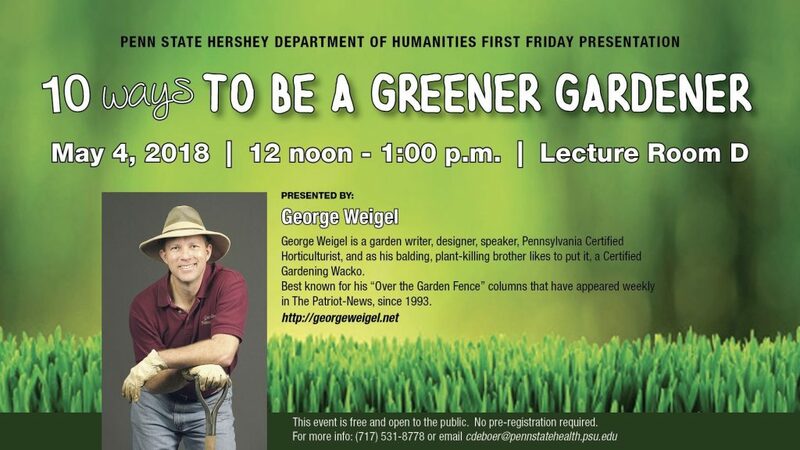 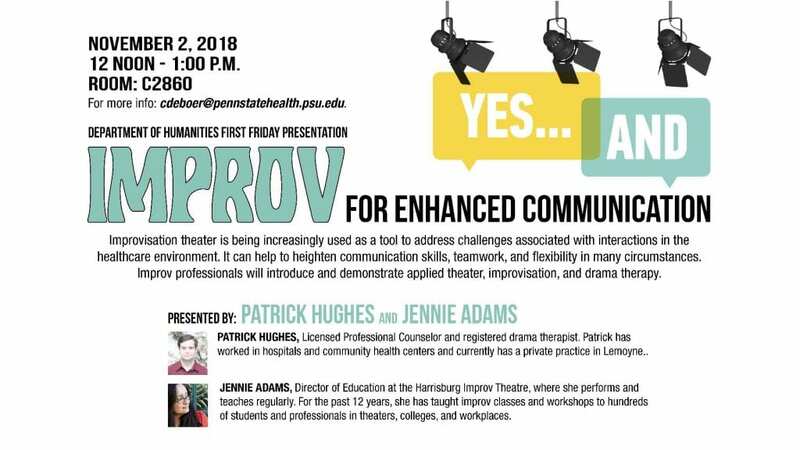 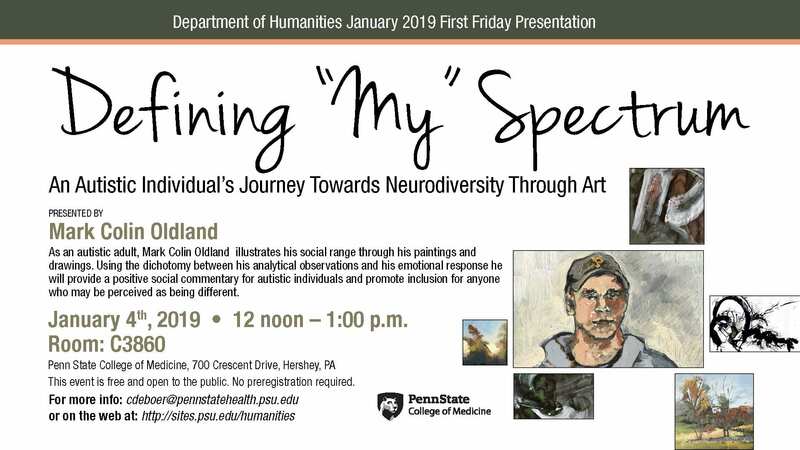 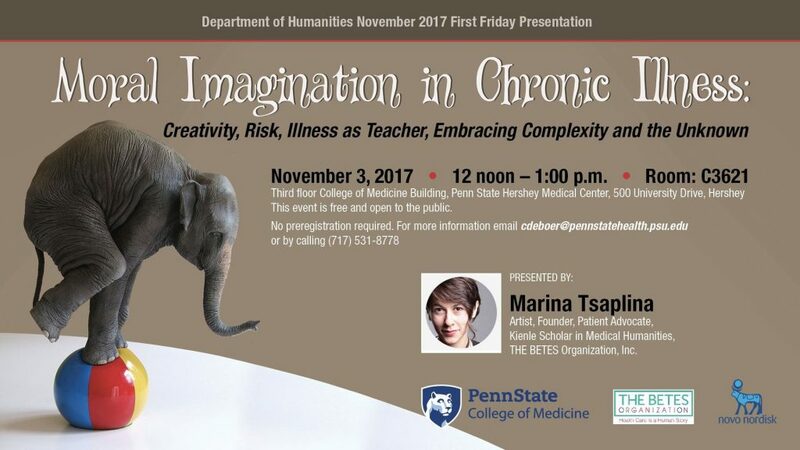 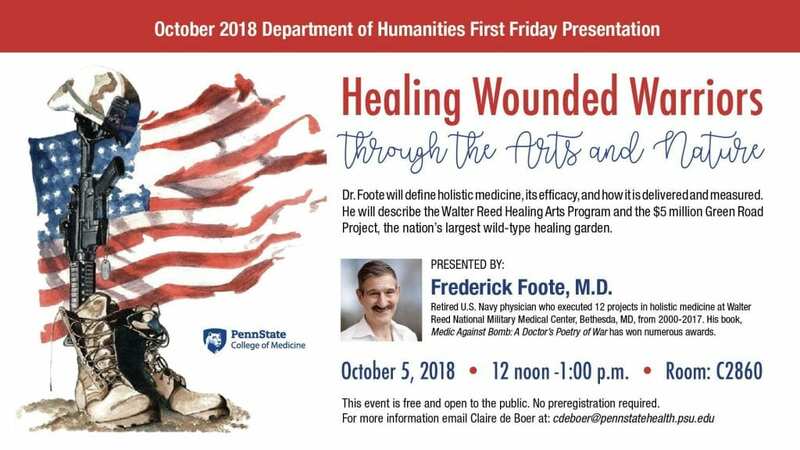 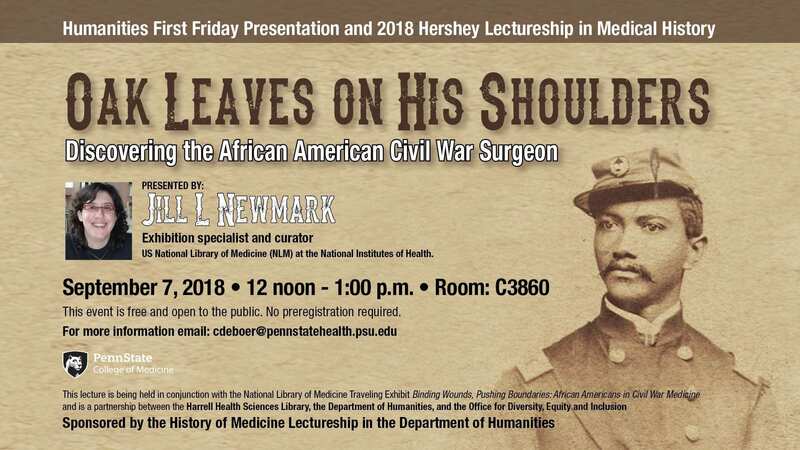 For more information about these programs contact the Humanities Department at (717) 531-8778 or email Claire de Boer at cdeboer@pennstatehealth.psu.edu.